We’ve celebrated a few weddings in our village now and whilst they’re always wonderful occasions, we know how stressful they can be to organise. 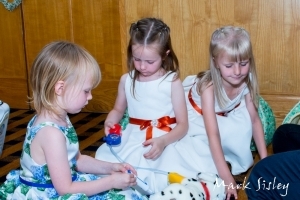 That’s why we decided to help out with the younger guests – those who may not be too happy standing around while Auntie Mavis straightens her hat for the photos or sitting through Best Man Bob’s speech. 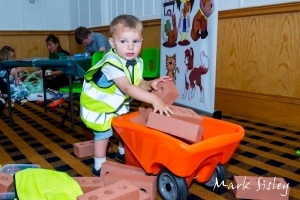 We pop up our Play Village where our trained staff keep them amused and entertained so you don’t have to. A mess-free arts and crafts area – no paint-stained party dresses here! All our staff are DBS checked and a first aider will be on hand. We always follow Ofsted adult to child ratios. Contact us for a personalised quote and get 10% off if you book more than three months in advance.